Expanding its partnership with Technical Glass Products (TGP), Trulite Glass & Aluminum Solutions (Trulite) will soon begin fabricating and distributing TGP's Fireframes® Designer Series and Fireframes Aluminum Series fire-rated frames for door, sidelite, transom and window applications. The new offerings supplement Trulite's existing distribution of TGP's FireLite® fire-rated glass ceramic products throughout the United States and Canada, and are designed to provide customers with quick access to a broader range of high quality, fire-rated glazing products. This agreement will also give Trulite sublicense to process and distribute Pilkington Pyrostop® transparent fire-rated glass wall panels at its Atlanta Service Center. "Working with TGP to expand our fire-rated glass, door and framing offerings is about more than moving products to market. It’s about better serving our customers with the high quality products they demand and trust for their projects, all with improved lead-times and delivery," says Paul Schmitz, Trulite CEO. "By offering TGP's market leading fire-rated glazing solutions we’re confident we’ll be able to deliver on this goal." Pilkington Pyrostop transparent wall panels are an excellent alternative to solid walls in fire separations where radiant and conductive heat transfer might be a concern. The product is fire-rated for up to two hours, passes all required fire tests, including the hose stream test, and meets the impact requirements of CPSC 16CFR1201 Category I and/or Category II to provide safety and visibility. Pilkington Pyrostop is classified and labeled with Underwriters Laboratories, Inc.® (UL) in large sizes. TGP's Fireframes Designer Series and Fireframes Aluminum Series fire-rated doors and frames provide design professionals with an attractive, modern alternative to traditional hollow metal frames. 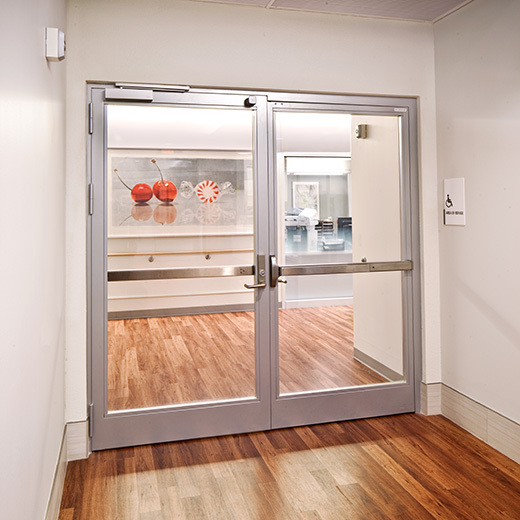 Available with fire ratings from 20 to 90 minutes, the Fireframes Designer Series doors and frames can incorporate a wide range of fire-rated glazing materials with glass sizes that surpass traditional systems. 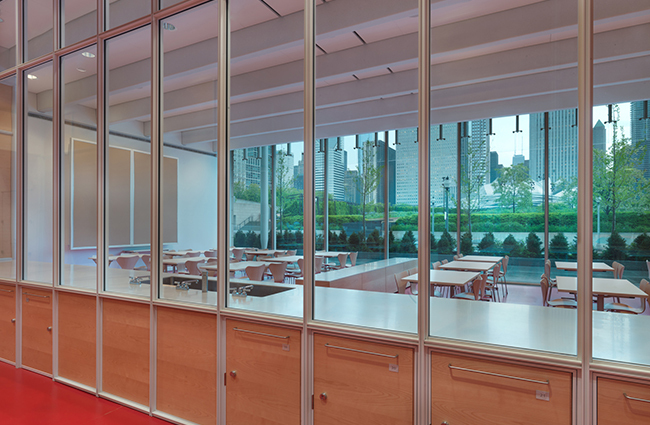 Fireframes Aluminum Series frames are available with fire ratings up to 120 minutes, allowing for unlimited areas of glazing in interior fire separations. Both Fireframes Designers Series and Fireframes Aluminum Series fire-rated frames are UL classified and labeled. TGP's FireLite is a clear and wireless glass ceramic that offers outstanding fire protection. The FireLite family of products includes: FireLite, FireLite Plus, FireLite NT, and FireLite IGU. Fire ratings range from 20 to 90 minutes (3 hours in doors), and all the FireLite products pass the required tests, including the hose stream test, and are classified and labeled with UL. In addition, FireLite Plus and FireLite NT offer high impact safety ratings (meeting CPSC 16CFR1201, Category I and/or Category II requirements). All products feature TGP's ultraHD® Technology to create a nearly distortion-free surface for clear viewing. Trulite Glass & Aluminum Solutions is one of North America’s largest architectural glass and aluminum fabricators and distributors. Trulite distributes and manufactures architectural aluminum, insulated units, mirrors, tempered, laminated, and decorative glass from its 29 locations throughout the U.S. and Canada. www.trulite.com (architectural glass).